Anu Valia is an Indiana-born, New York-schooled filmmaker whose award-winning short films have screened across the country and abroad. Her short film, LUCIA, BEFORE AND AFTER, won the Jury Prize for US Fiction at Sundance Film Festival. It was also an official selection at festivals around the world including South by Southwest, Hong Kong International Film Festival, Nashville Film Festival, and Seattle International Film Festival. LUCIA was a recipient of Refinery29's Shatterbox Anthology grant and is a companion piece to her feature, WE STRANGERS. Anu will be directing episodes of Comedy Central's THE OTHER TWO and TruTV's ADAM RUINS EVERYTHING this summer. She is the Director and Executive Producer of Adult Swim's SOFT FOCUS WITH JENA FRIEMDAN. Her first feature film, WE STRANGERS is supported by Cinereach, Sundance Institute, Women in Film, Tribeca Institute, and Hamptons International Film Festival. 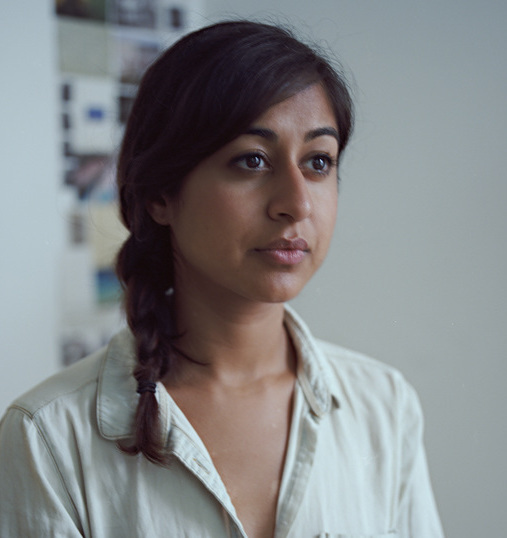 Anu is a 2017 New York Film Festival Artist Fellow and a 2017 artist resident of SPACE at Ryder Farm. She's proud to be an ambassador for the American Film Showcase, a U.S film diplomacy program promoting arts involvement and education abroad.